Down Factory Store Home > Goose Down Pillows > POLISH > KING 20 X 36 > Polish Medium Weight 21oz. Polish Finest: 700 - 750 fill power. 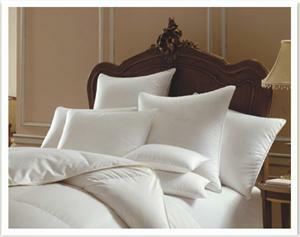 Custom woven in Germany, 354 thread count cotton sateen cover. Guaranteed Hypoallergenic.